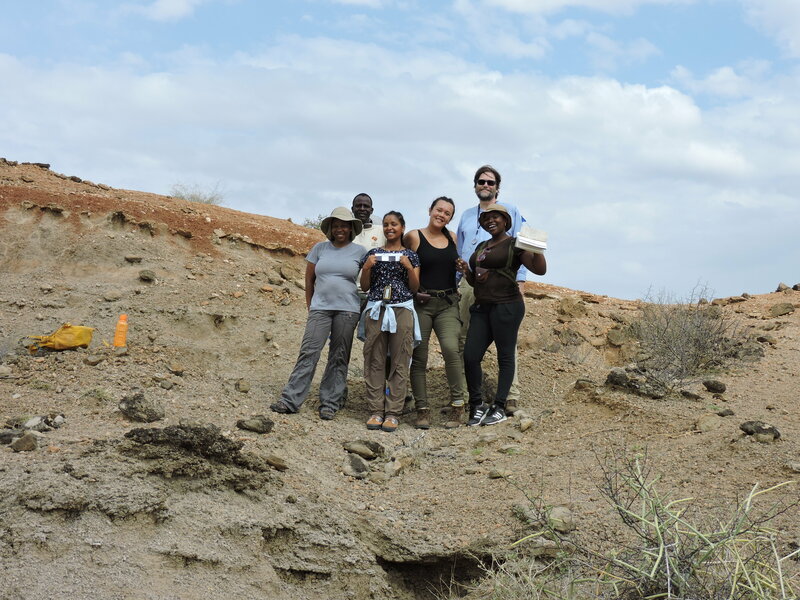 The TBI Field School Students visited the Kerio Delta this weekend. 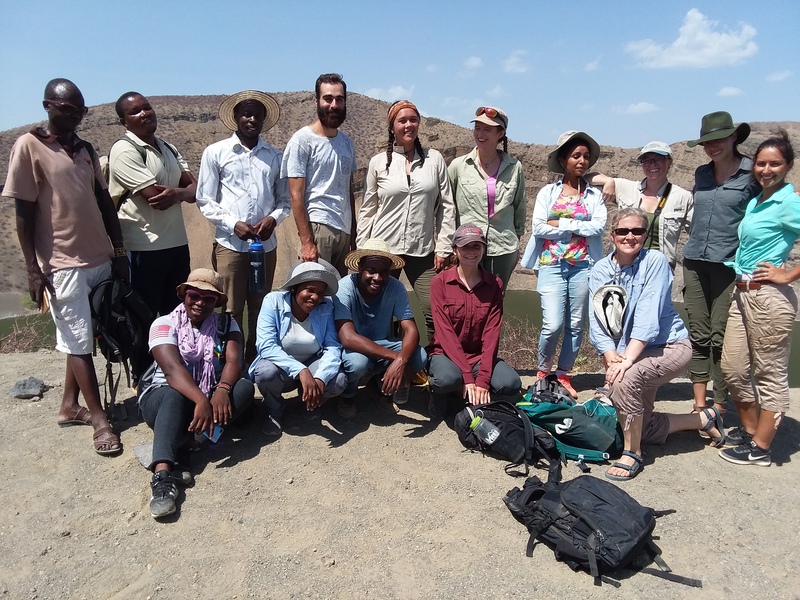 We visited the Kerio Delta as part of the Ecology module, looking at some of the different vegetation types and learning about some of the species that live in the deltas of Lake Turkana. 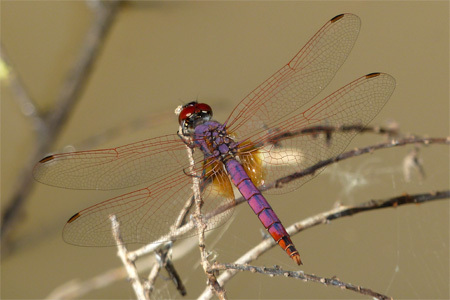 One of the most important and beautiful groups of insects that occur in the freshwater channels of the delta are numerous species of dragonflies. As we arrived at the edge of one of the delta channels, we found this beauty sunning itself. Dragonflies are aerial predators that eat mosquitoes and other insects that they catch in flight. In the water below the dragonflies were numerous Whirligig Beetles. These are fast-moving beetles that swim on the surface of the water and hunt prey. The beetles are beautifully streamlined and swim about fast, whirling in crazy patterns when they feel threatened or disturbed. We watched the insect life before stepping into the boat to explore the delta further. Our first view on the boat ride was of the invasive Prosopis. 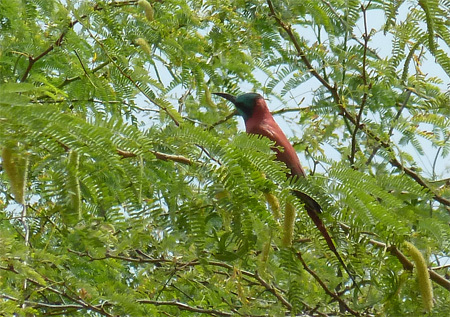 This species was introduced to East Africa as part of a dryland agro-forestry project. It has become invasive and now grows in many areas. 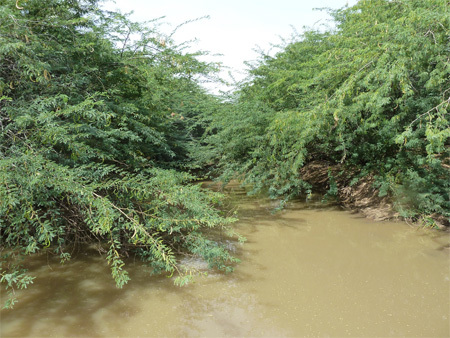 In the Kerio Delta it literally cloaks many of the channels with a blanket of bright green. 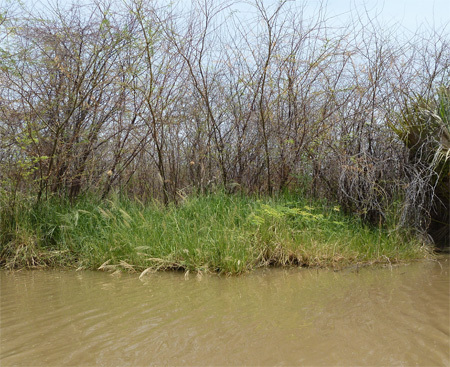 Before the arrival of Prosopis, many of the channels were lined with beds of grass and reeds and bulrushes. Their roots merged with the water, and partially submerged stems provided a breeding ground for fish and many other aquatic species. 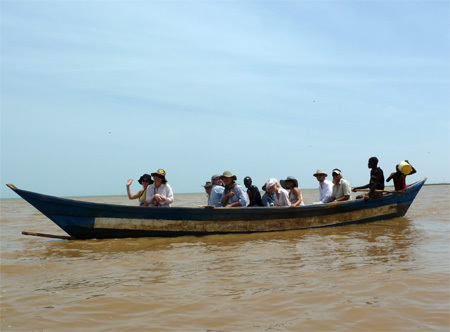 After about 30 minutes of gently floating along the channel, we arrived at the mouth of the Kerio Delta on the edge of Lake Turkana. Here the wind picked up and there were little waves and open water stretching seemingly endlessly in front of us. The delta is home to large numbers of birds that depend on fish and other aquatic creatures for food. 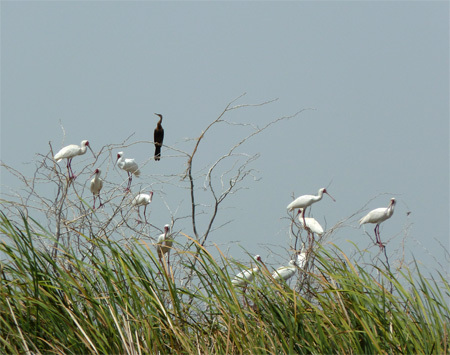 A flock of African Spoonbills and an African Darter perched in a tree near the edge of the delta. Spoonbills use their broad spoon-like bills to sift through water and silt for food, while the African Darter is ‘armed’ with a trigger in its neck and a sharp beak that it uses to spear fish with. 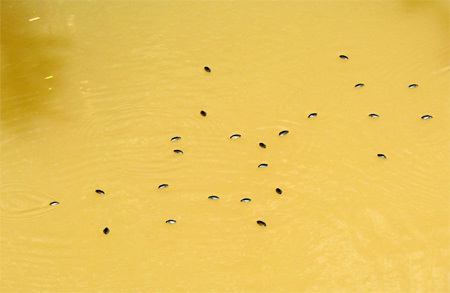 On our way back, we passed closer to some beds of reeds and were startled when a school of fish leapt out of the water. Some of them even landed in the boat! This was a chance to take a closer look at one of the common fish species of the delta. This is a Tilapia species. 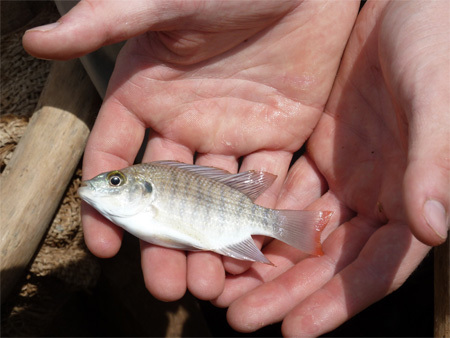 The young fish live in nurseries among the reeds and aquatic grasses. It was a long and hot day in the Kerio Delta. 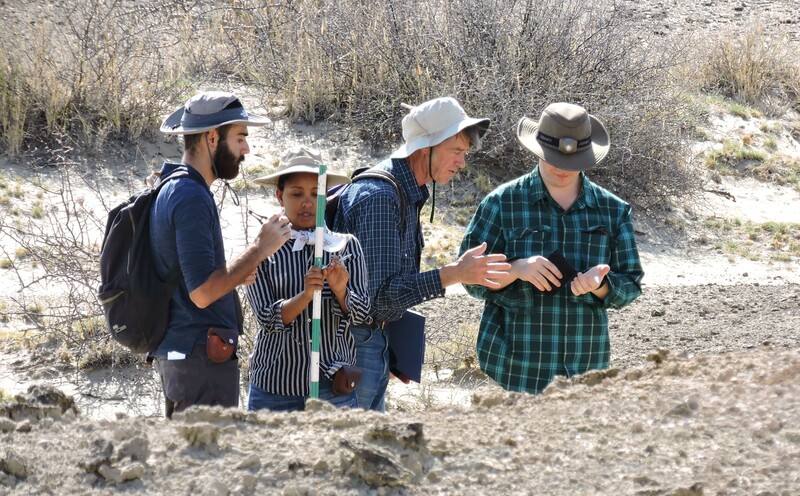 The students got to glimpse some of the breadth of diversity that lives in the aquatic habitats of Lake Turkana. 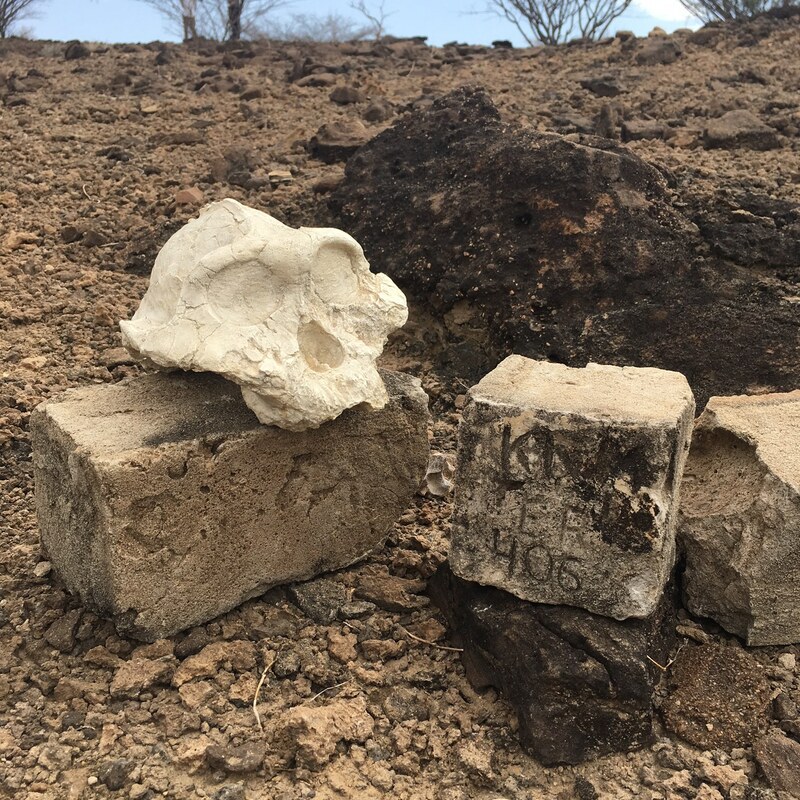 Even in the drylands of northern Kenya, life has thrived and diversified and adapted to all sorts of conditions in many different ways. 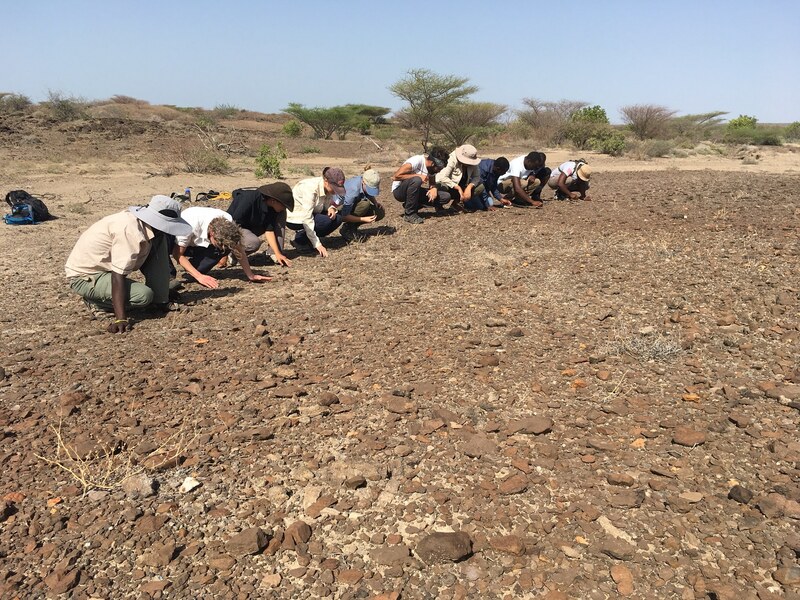 Places like the Kerio Delta are crucial for the conservation of biodiversity in the Lake Turkana Basin as they hold some of the highest concentrations of species and support both human livelihoods and the food-chain of the lake by serving as breeding grounds for fish and other useful species.